I was looking through the January-February 2011 issue of Skeptical Inquirer, and was especially interested in the issue’s feature article, The Conspiracy Meme, written by sociologist Ted Goertzel. Rather than rehash the article here, I thought I’d add a little commentary and a couple of observations I’ve made about conspiracy theories in general. Now, while it would be silly to suppose that conspiracies don’t happen–after all, anytime you have two or more people secretly gathering to plan something, that could be considered a conspiracy–there is no one universally accepted definition of a conspiracy, and everybody has their own take on what constitutes one. Most such theories, however allege something outright evil, or in the more likely theories, merely illegal, or at the very least classified, about the nature of the conspiracy. To me, in any claim of a conspiracy, it’s more parsimonious to attribute incompetence to a serious f*ck-up than sinister intent by agencies unseen unless there is a good reason to suppose the latter. 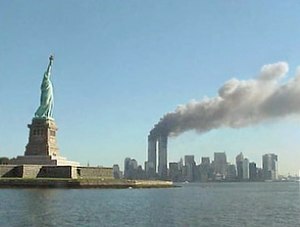 As one of my commenters pointed out in an earlier post, the terror attacks of 9/11, 2001 couldn’t have been an ‘inside job’ by the Bush administration because of the simple and graphic fact that they succeeded as well as they did. Interestingly, those fingered as conspirators are attributed with both incredible intelligence and incredible stupidity at the same time–smart enough to cover their tracks to the rest of the sheeple, but somehow just not bright enough to hide their diabolical plans from the intellectually superior conspiracy theorists themselves. The successful, well-organized and secret conspiracy is the one that nobody not ‘in on it,’ even you, know about–After all, it’s a secret, and if you know about it and are not part of it, it’s no longer successful nor well-organized nor a secret. Regarding those who claim poorly substantiated and often implausible conspiracies and who think themselves ‘skeptical’ of large institutions, I think that it’s a good idea to be skeptical of their skepticism. My google alerts often bring me to Before It’s News, a site where “contributors” post about anything they want, as if they were columnists at a paper. Naturally, without gatekeepers, that means the place is overrun by conspiracy, earth changes, and anti-science news plus people claiming gold should be $50,000 and ounce. Anyway, so many of the posters are locked into the conspiracy narrative that when Wikileaks recently released the diplomatic cables, the B4IN postings were all about how Assange was a CIA agent, how this was another aspect of the “control program,” etc. The conspiracy nuts could not process the fact that actual documents with sensitive inside information were available to the public — the posters simply treated the realisation of WHAT THEY’VE ALWAYS DEMANDED as yet another convolution in the conspiracy fractal. It was so pathetic that the otherwise credulous commentors revolted — which is slightly encouraging. BTW, Culture of Conspiracy by poli sci prof Michael Barkun is an excellent book. I wish it was 100 pages longer. @terry Barkun’s book should be required reading for all high school graduates IMO … Another good book is Jon Ronson’s Them: Adventures With Extremists … In both cases anyone not suffering from some sort of delusional disorder has to realize that the whole thing is bunk when the authors get to the part about the LIZARD PEOPLE! The most convincing aspect is that the extremists appear as themselves. We don’t get an interpretation, we get the person in their own words.